Looking for a budget-friendly slow cooker soup to warm you to the toes? 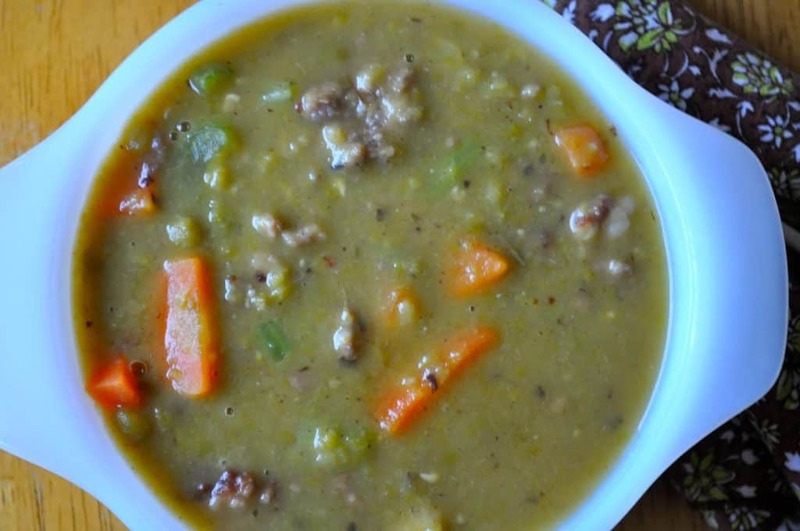 This Slow Cooker Split Pea Soup with Sausage is delicious AND low cost AND easy to make. Perfect for those days you just can’t do it all. So basically every day for me. Anytime is the perfect time to pull out the slow cooker (crock pot ALWAYS!) and make soup. Today it almost snowed or at least I THOUGHT it was going to snow and to me that means soup. We’re making one last run to get this remodel done so I knew it had to be a slow cooker soup that required little to no actual cooking. I set the peas to cook at noon and left them until 4 pm when I fried up some sausage, carrots, and celery to add to the pot. The soup was thick, full of sausage and vegetables and really hit the spot. Alas, we got no snow but we did get soup. Remember all slow cookers cook at different speeds and temperatures so you might want to make this on a weekend until you figure out exactly how it works in your slow cooker. 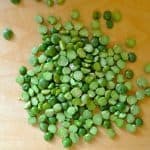 The hubby and I JUST bought a pack of split peas with the idea of making soup. I love the idea of using the crock pot! Thank you!